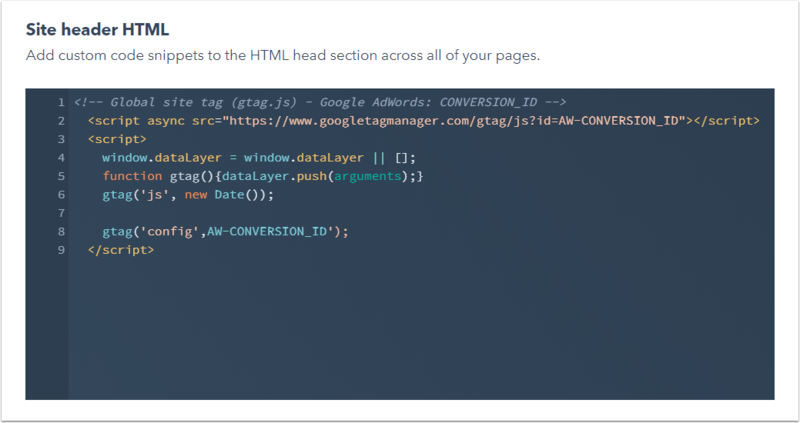 The Google Adwords global site tag should be placed in the <head> section of all your pages, while the event snippet should be added to the <head> section on the conversion page itself. Copy both code snippets from Google Adwords, then follow the steps below. Scroll to the Site header HTML section and paste the global site tag snippet here. If you installed a global site tag on your website from another Google product (e.g., Google Analytics) or from another AdWords account, follow Google's documentation to adapt the tag so it works for your AdWords account. In the dashboard, hover over the name of your page and click Edit. The event snippet should be added to the final page of your offer, which is usually your thank you page. Click the Settings tab, then scroll down and click Advanced Options. Paste the event snippet in the Head HTML section. Click Update or Publish to apply your changes.